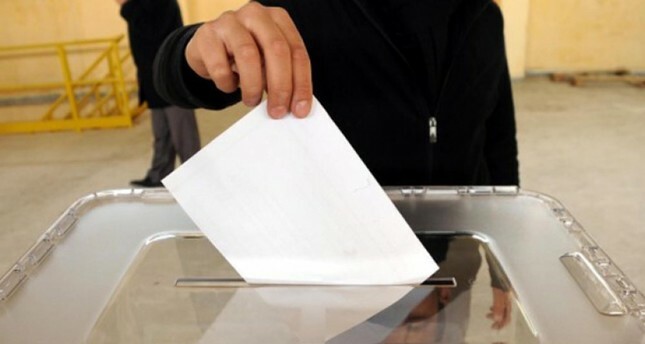 Turkish citizens cast their votes in the local elections on March 31. Several major political parties joined forces under two main election blocs for the first time in local elections for the March 31 vote, indicating an evolving political system after the April 2017 referendum for the executive presidential system. The newly formed alliances have affected the results in many provinces of the country, especially to the benefit of the main opposition Republican People's Party (CHP), which has been able to win the municipality of the capital city of Ankara after 25 years thanks to its cooperation with the right-wing Good Party (IP). After the approval of the referendum in 2017 spearheaded by the ruling Justice and Development Party (AK Party) and the Nationalist Movement Party (MHP), two main election blocs emerged before the June 24, 2018 parliamentary and presidential elections: the People's Alliance formed by the AK Party and MHP and the Nation Alliance formed by the CHP and IP. Both blocs decided to carry the momentum of the general elections to the March 31 polls. Since a legal alliance was not possible at that time for local ballots, the parties withdrew in favor of their partners in predetermined provinces and districts. In conclusion, the alliances significantly affected the results as many municipalities passed to different parties than they were traditionally run by. The capital was one of these provinces. The CHP and IP fielded experienced nationalist Mansur Yavaş for candidacy in Ankara, who bagged a win on his third attempt. Since the CHP was unable to claim victory alone with its own electorate, Yavaş's name, whose background significantly diverges from CHP's ideology, emerged after long negotiations. The CHP and the IP were the official partners of the alliance; however, the pro-PKK Peoples' Democratic Party (HDP) was considered to be part of a "veiled alliance" as well. During the election campaign, the People's Alliance presented a united stance focusing on democratic and national values. The remarks of the People's Alliance's two leaders put forth a unified message, promising to continue overseeing the rights of the people and national interests. Examining the Nation Alliance, the one thing that stands out is that each partner in the alliance has substantially different political ideologies despite the common rhetoric and stance of the People's Alliance. Putting aside their ideological differences, the parties of the Nation Alliance came together to reach one objective, which is to defeat the ruling party in the ballot boxes. It was difficult for parties with huge ideological differences to present a common stance, as was seen in Ankara where little active campaigning by the Nation Alliance was conducted. For instance, HDP Co-Chairman Sezai Temelli previously warned the CHP, saying that if the CHP won, it would only be possible with the votes from the HDP, which did not nominate candidates in various provinces. The remarks of Temelli highlight the cooperation of the opposition takes place despite ideological differences. As the CHP has been unable to win in major cities, there has been a change in its strategy. The party has leaned toward conservative and nationalist candidates to win in the elections. Even though the parties constituting the alliance are not of one mind considering their ideologies, in an attempt to prompt a change, they nominated Yavaş, who is not considered a left-wing figure but one more likely to earn votes from nationalists. Previously, Yavaş served as the MHP mayor of Ankara's Beypazarı district between 1999 and 2009 and was later nominated as a candidate for Ankara Metropolitan Municipality; however, he lagged behind the AK Party and the CHP. In the 2014 local elections, Yavaş was nominated for the CHP against the candidate of the AK Party, again losing the election in a very close race. Bringing various partners with different ideologies together and nominating a nationalist candidate, the CHP was successful in winning the metropolitan municipality of Ankara and also in some other big cities. Despite the positive atmosphere for the CHP, the future of the alliance has been already put into question. Given that the IP saw no substantial success in the local election, it may be hard to keep the group united in the upcoming period. In the March 31 elections, IP candidates lost in all 22 provinces they entered on their own against the People's Alliance. The party received 7.45 percent of the votes nationwide and finished third, far behind the MHP, the ideological rival of the IP. While the MHP won 156 municipalities with a 7.31 percent share of votes, the IP only managed to win 25 municipalities. Despite some IP officials evaluating the results as a success, the party's Deputy Chairman Ümit Özdağ resigned, reportedly because of the failure in the elections.